This walnut picture plaque holds a 4x6 photo under a plastic lens. It is magnetically held in place so that it can be easily changed from time to time. This photo plaque is a great choice for Volunteer, Teacher or Employee of Month recognition. Engraving is included. Be sure to indicate what to engrave on the top and bottom plates. This walnut picture plaque holds a 4x6 photo under a plastic lens. It is magnetically held in place so that it can be easily changed from time to time. 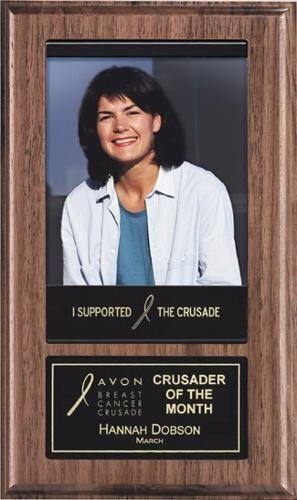 This photo plaque is a great choice for Volunteer, Teacher or Employee of Month recognition. Engraving is included.